First of all, I wanted to direct all of you to my new gallery! Click on the gallery tab above to look at all my purses, past and present. 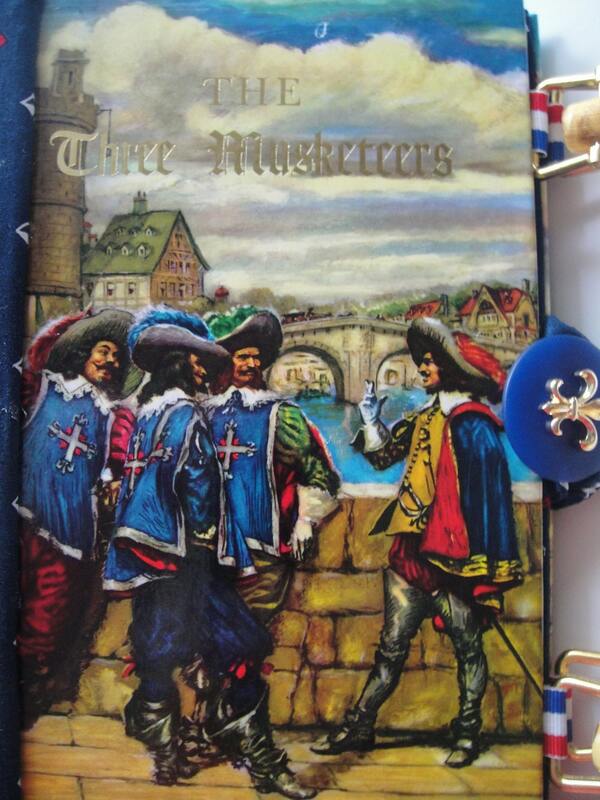 A few weeks ago I got a custom order to make a Three Musketeers book purse. I'll admit, I've never read any Dumas. My focus in college was American Literature and so I never read any Dumas, nor have I on my own. The closest I've come is that awful movie version with Chris O'Donnell, who along with Charlie Sheen, kept their American accents even though they were playing Frenchmen. At least Oliver Platt and Keifer Sutherland attempted a British accent (which, in American movies, is pretty much the same thing as a French accent). Does anyone remember, the annoying theme song? I think it was a rule in the 90s that your movie had to have Bryan Adams sing your theme song. Gosh, the 90s were awful. 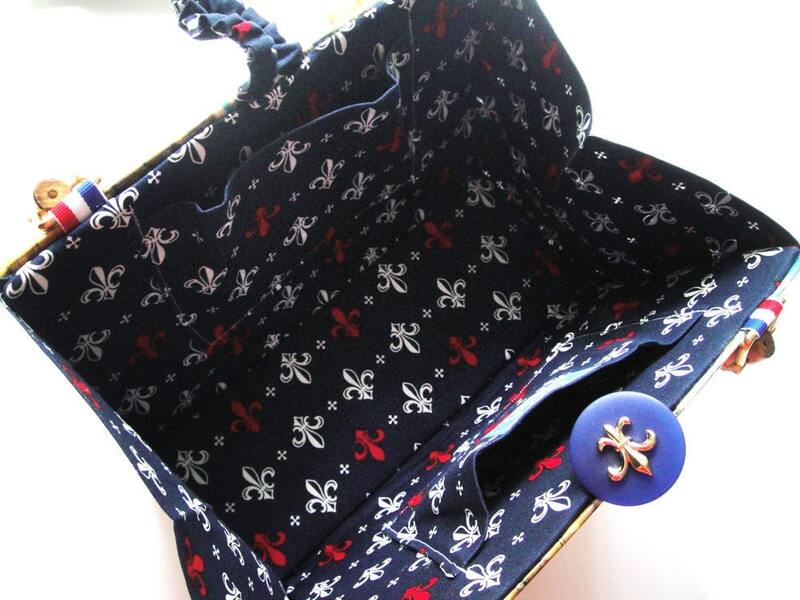 I think it is so amazing that people trust me enough to make all the choices for their custom purses! The customer picked out this cover then told me to just go for it. I love that! I looked at a few fabrics with cross patterns but they were all religious and I needed something more gothic. 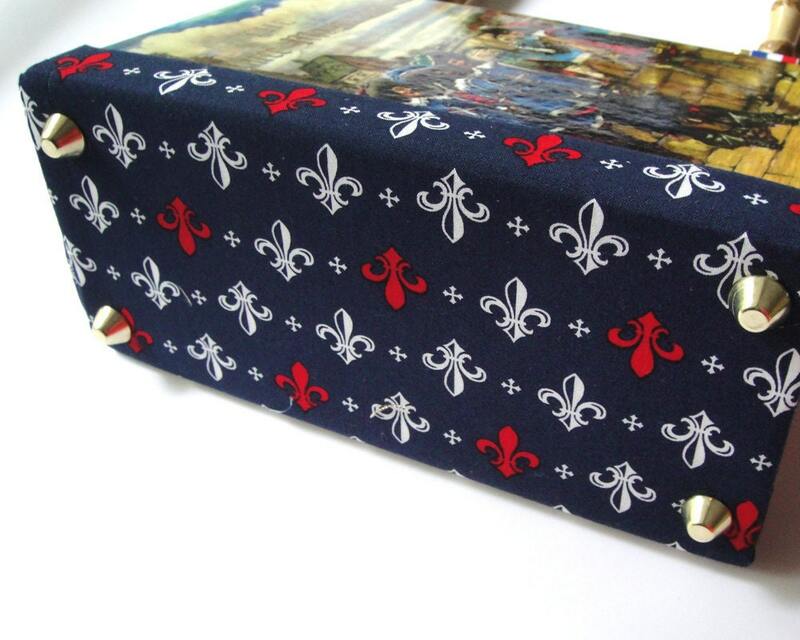 Then I remembered this Alexander Henry fleur de lis fabric . . . what's more french than a fleur de lis? Plus, it had little crosses in the pattern as well. Score! This was really one of the easiest custom purses I've done because everything came together just right. 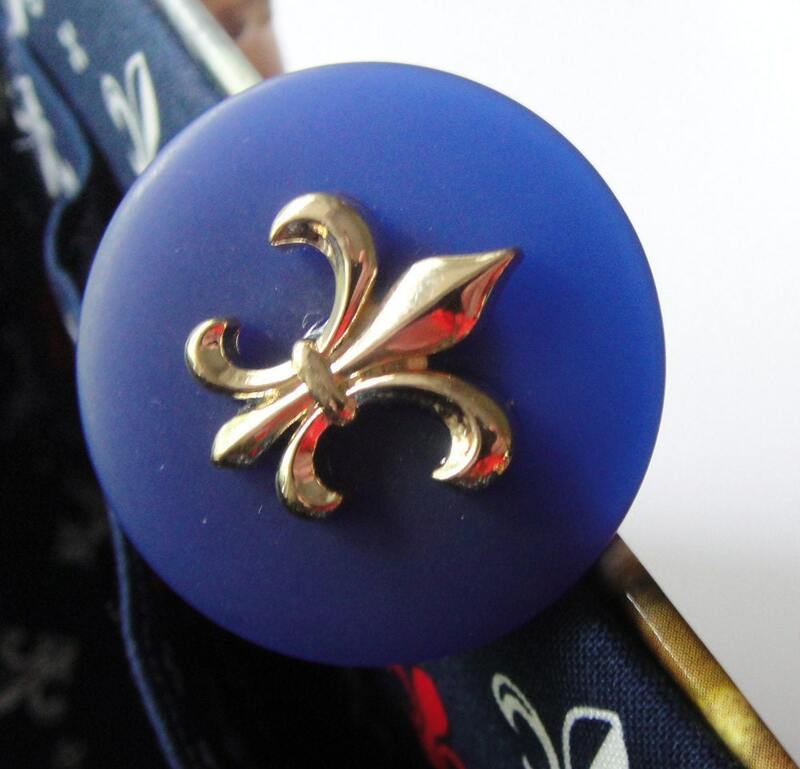 For the button, I happened to already have a gold fleur de lis button in my stash but it was too small. I found a large navy button and glued the two together. Perfect! It was just so awesome how all the details came together . . . just like the harmonies of Bryan Adams, Sting and Rod Stewart . . . The customer seemed very happy with the final product, which is all that really matters. 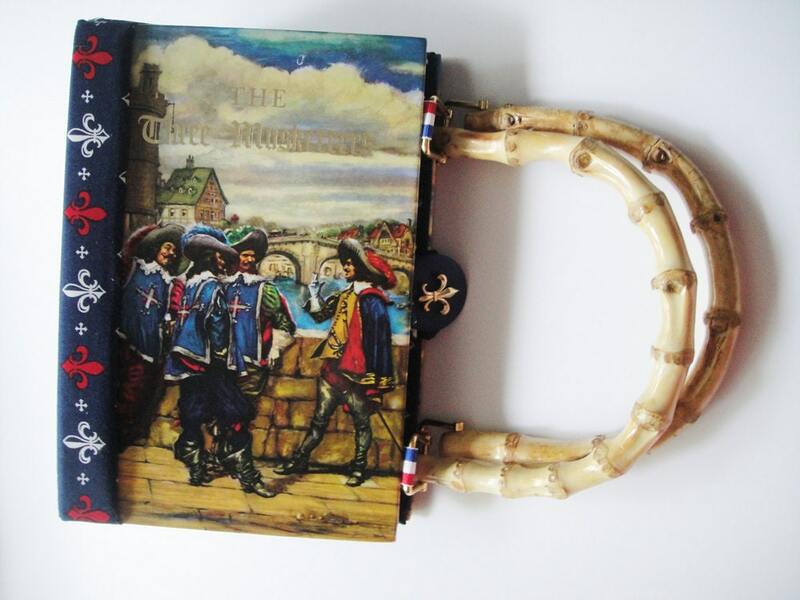 I really love this custom purse. What do you think?